What better way to spend a Saturday morning that hubby has to work than trying on new clothes! Caryss + I went to the mall this morning to shop for HER (not I) some warm weather clothing! This child is growing so fast that she has pretty my sprouted out of ALL of her summer gear, so time to start replenishing! We went to Justice Girls + The Children's Place to shop! 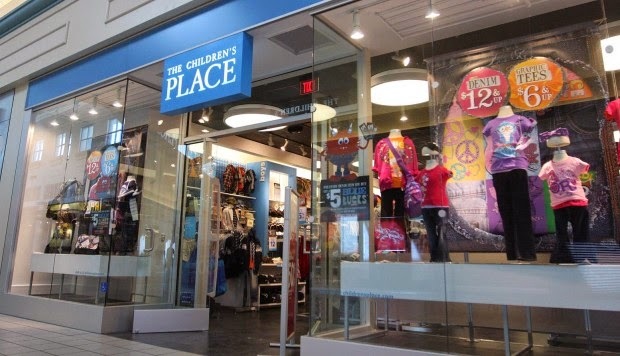 I generally get more from Children's Place because they tend to have better sales and prices! You will see this once I break down the pricing further on. Let's start out at Justice! I was a little disappointed because normally when I go in there when I am not looking to shop, they have SO much to choose from. But today, I could only find a few things that I wanted her to try. Her little purse is from JustFab! I actually really liked this little set but the shorts were too big in her waist and they didn't have the next size down. This cut was available in a bunch of different patterns. This set was right on the money! You can never go wrong with pink, right? She loved it and so did I, especially the cargo-ish shorts! Word tees are a go to with her! We teach her everyday to be kind to EVERYONE, so this slogan tee was right up her alley. I was drawn to it because it was grey (my fave color) and she likes anything with words on it, lol! The Bermuda shorts are so her because she is thin BUT she's very tall, which makes shorts buying a traumatic experience for us (lol)!! These Aztec print shorts were SUPER cute but (in my opinion) were a little too short for her! After this, we checked out with her choices and on to The Children's Place! The dressing room was not as cutesy but hey, it worked! This would be her first official long sundress! Of course, it would be rainbow! It's such a cute little dress on her!! She loved it! I wish it was a little longer but that's the story of our lives! This one was her favorite but it just didn't fit her right. Again, it was too big everywhere but if I sized down, it would be too short! She was disappointed which made me sad! She wasn't feeling this top too much! This is what she ended up getting! Now please don't think that I actually paid $100+ for these! I wouldn't do this for 4 pieces on myself unless I was splurging. My friend gave me 2 J-Bucks coupons which allows you $30 off of your $50 transaction. Her total was a little over $100 and I used both J-Bucks coupons which brought our total down to $43.04! MAJOR SCORE! So of course, being the savvy shopper that I am, I knew that The Children's Place was holding a huge sale! Most of the items were priced at $3.99!! I also had a coupon through email that allowed another 20% off!! The most expensive item came out to $11.98 which was the maxi dress! I ended up spending $42.34 all together!! Another MAJOR SCORE!! Over $200 worth of clothing and I spent a little over $85!!! I would say we had a productive day! The next time will be at our favorite store, Target!!! That's all for our first installment of Dressing Room Chronicles!! Keep a look out for more of these because there will certainly be more!